I can not walk past or hold Benefit's Gimme Brow products without inwardly singing Britney Spears "Gimme More". I now apologise for planting that seed (gimme, gimme brows, gimme brows - you know you want to join in). 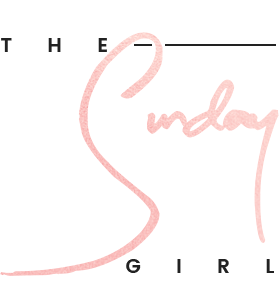 Brows are still big news in the beauty world and Benefit Cosmetics have developed a product that is combination of gel, colour and fibres. Easy to use but with impressive results. 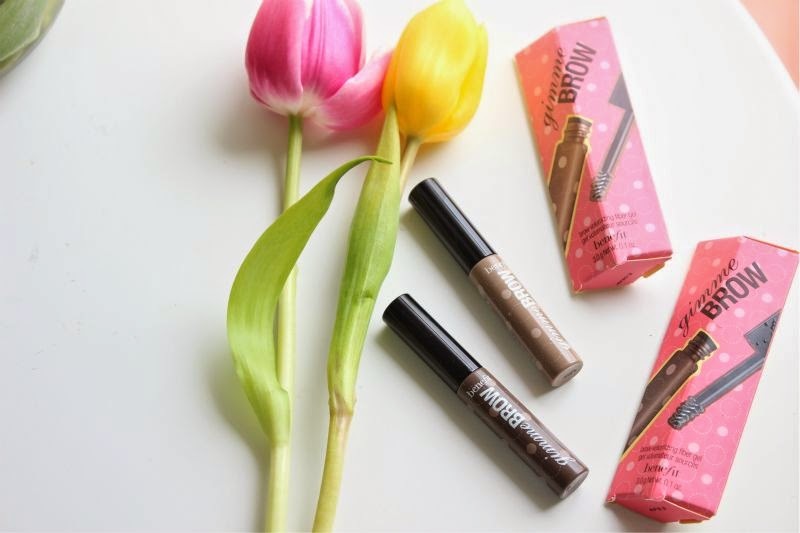 I have long championed Maybelline's Brow Drama Sculpting Brow Mascara which is wonderful if you are happy with the shape of your brows and only want to tame and tint in one quick step but what if you need a little extra definition? Enter Benefit Gimme Brow which does all of the above but due to the added fibres it can help give the appearance of thicker, fuller brows that look natural with any gaps filled. 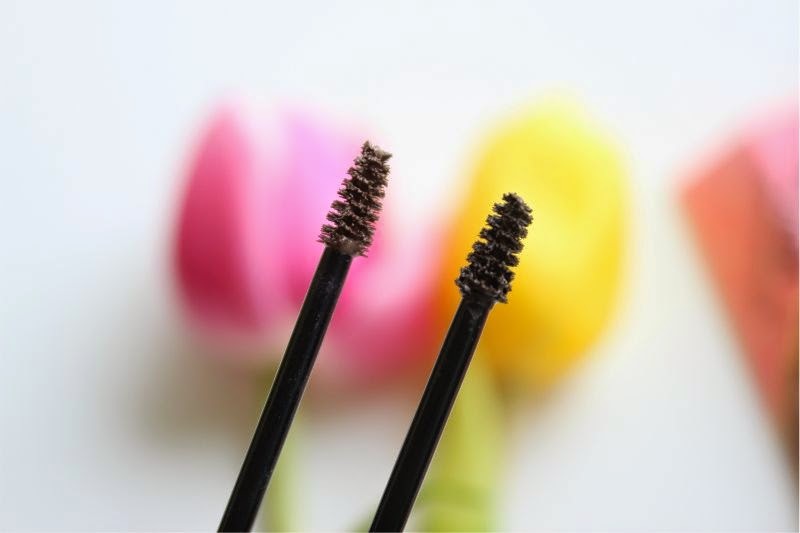 It brings a whole new dimension to brow mascaras. First of all let's discuss the brush - dinky in size yes with a tapered edge but perfectly formed. The smaller size means you can really work it into the brows, filling even the tiniest of gaps without worry of the brush spreading the product on to the surrounding skin. I also find that the size flats and sculpts my brows much easier than the larger more typical mascara-esque spoolies that most brow gels feature. 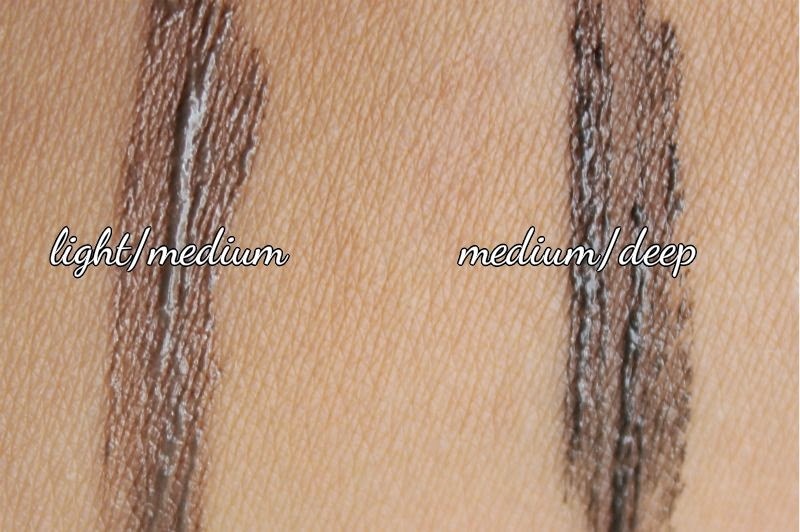 Next up is the colour selection which could do with expanding in the near future, two shades: Light/Medium - a light ashen taupe brown that will suit most blondes and light brunettes and Medium/Deep - a cool toned medium brown that should be suitable for most brunettes. I personally use the Light/Medium and do find it a little dark for my personal taste but it doesn't look ridiculous on my brows. Now the formula, oh the wonderful formula - a light tinted gel that can be applied in layers to up the ante. 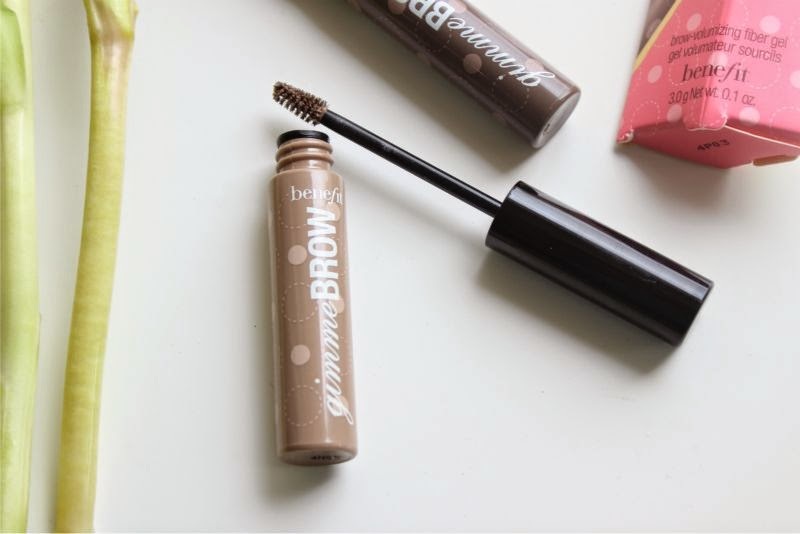 Benefit Gimme Brow glides on which such ease that I would fully recommend it for those who are just getting to grips with their brows, it dries quickly and not overly crispy either. 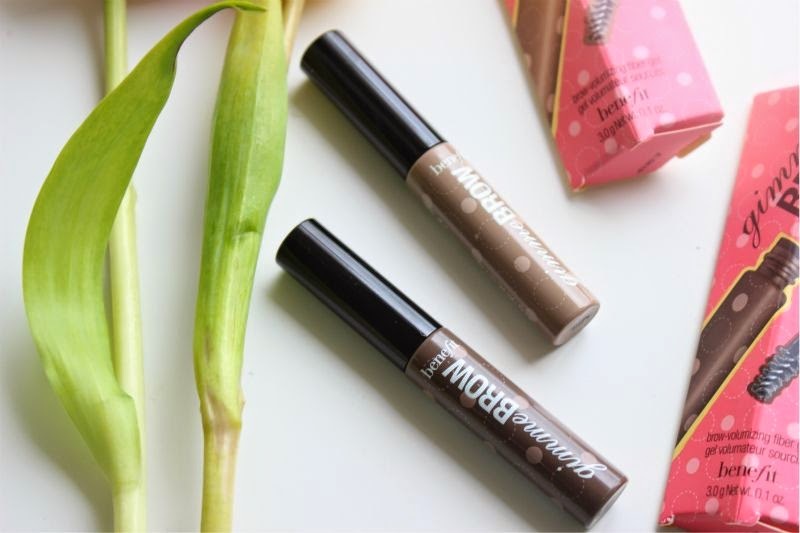 Benefit Gimme Brow does what other brow products do not it creates brows - this nifty gel contains teeny, tiny fibres that grip on to the brow hair to oddly add volume, sounds odd but it works. 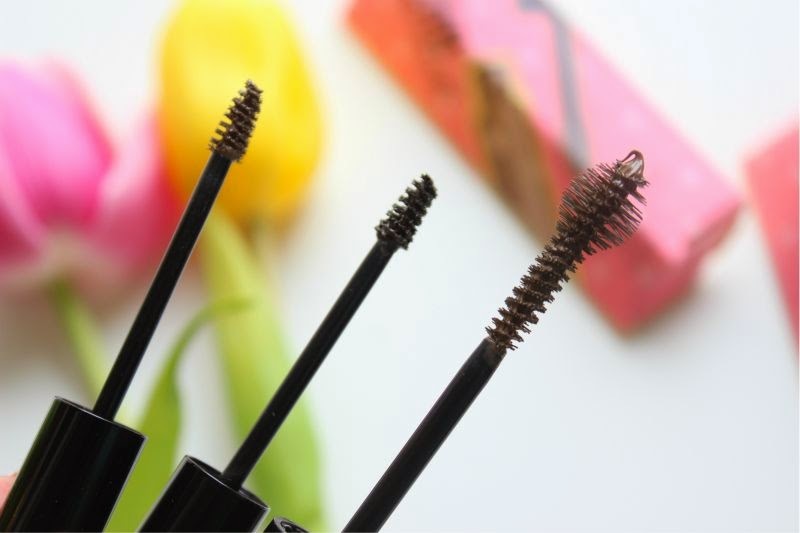 It's quicker and easier than a brow pencil and the end result is far more natural. I know Benefit aren't claiming their new wonder product is waterproof but I find it stands the test of sweat, rain and general British weather much better than a powder or pencil. 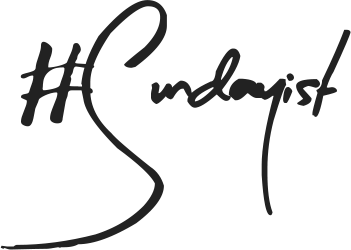 I also like that it layers over pencil or powder products beautifully to lock them in place. Basically believe the hype with this one. Benefit Gimme Brow £17.50 via Boots - link. This post contains press samples. Thank you so much for putting up this post! I've been debating with my own self whether I should try this out because the thought of spending that much money on a tiny brow product kind of freaks me out. I'll definitely give this a go next time I'm in store.